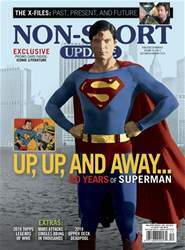 Digital Subscriptions > Non-Sport Update > Dec/ Jan 2018 > 80 YEARS OF SUPERMEN! Very few trading card franchises have been able to stand the test of time like the Man of Steel. 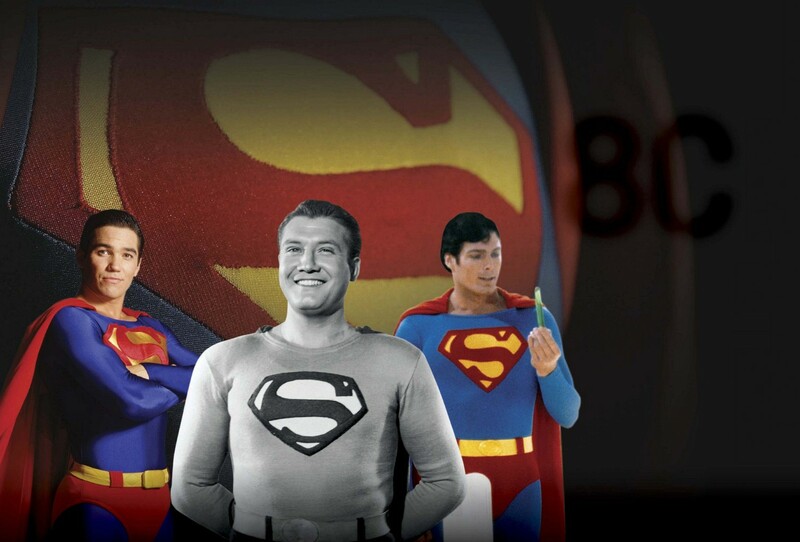 With 80 years and counting, the history of Superman and super men presents a timeline of the various actors that have portrayed Krypton’s favorite son. From the Golden age of black and white serials to the monochrome adventures on television to modern-day incarnations in blockbuster movies and television shows, Clark Kent has been portrayed by no less than 16 actors. The 1940 Gum Inc. Superman trading card set holds the distinction of being the first in a string of trading cards featuring the Man of Steel. It is also considered one of the more difficult Superman sets to collect, as well as one of the most expensive.The checklist consists of 72 cards. Most are considered scarce, but cards #49-72 were short printed and are even harder to find. Card fronts portrayed vivid artwork, typically with Superman in a heroic pose or act. While no one has ever definitively identified the artist of the set, many believe that Joe Shuster himself may have created the images. Backs have, by today’s standards, lengthy descriptions along with the Superman logo and an ad.